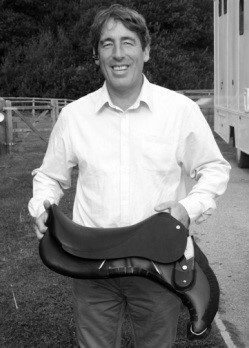 Ian is the Director and Owner of OEC Dressage Worldwide. He and his wife Vicki Thompson Winfield have been together for 13 years and make a very special team. 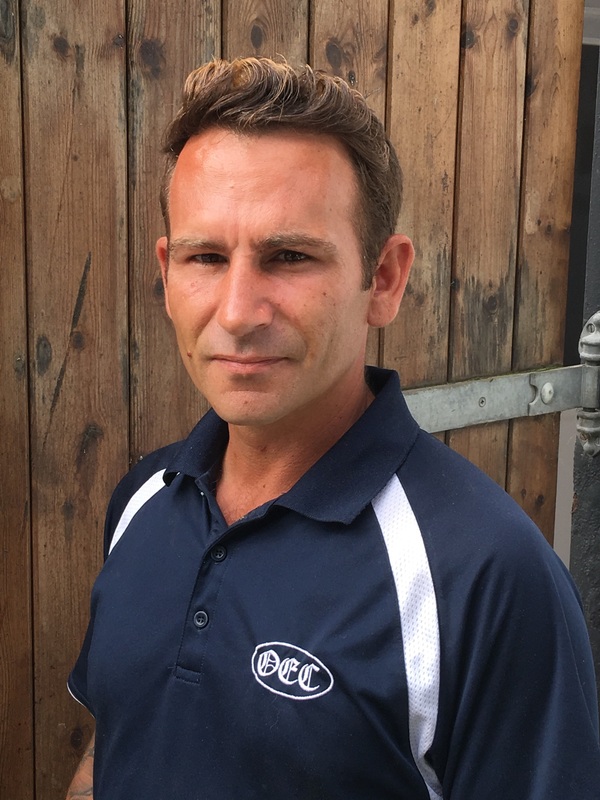 Ian is an entrepreneur, an inspirational businessman and a no-nonsense guy who will only accept the very best and that is exactly what you can expect when you deal with OEC Dressage Worldwide. Katja worked several years in the Banking sector, and left the workplace to bring up her two children, Emily now 23 and Ollie 18. Horses have always been a huge part of her life and she keeps her own at home. She has previously worked in Thoroughbred studs and Racing stables. Katja originally joined Oldencraig to gain retail experience in our state of the art Tack shop and to use her gained knowledge in her role as receptionist. She now works part time as Ian's PA and oversees the running of the centre. 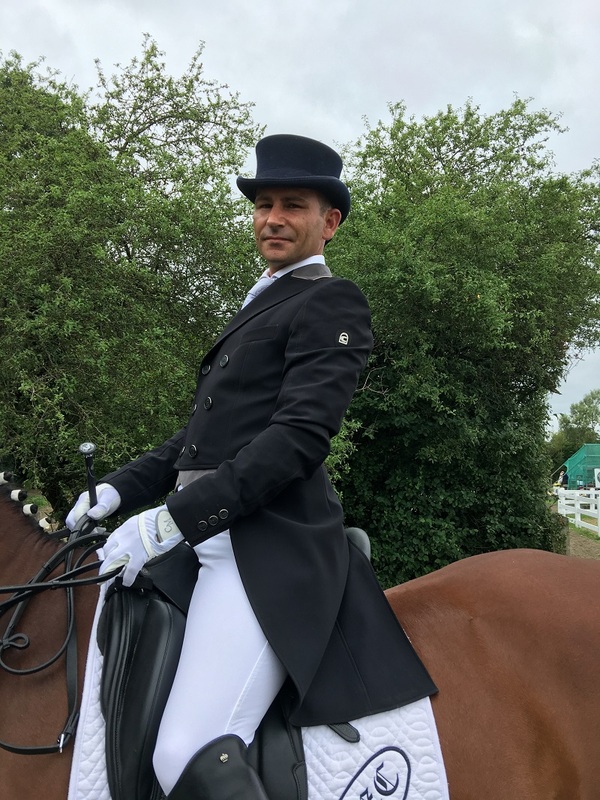 Shaun is a fully qualified BHS Instructor and International dressage Rider, and in previous years worked as a rider for Michel and Mette Assouline. 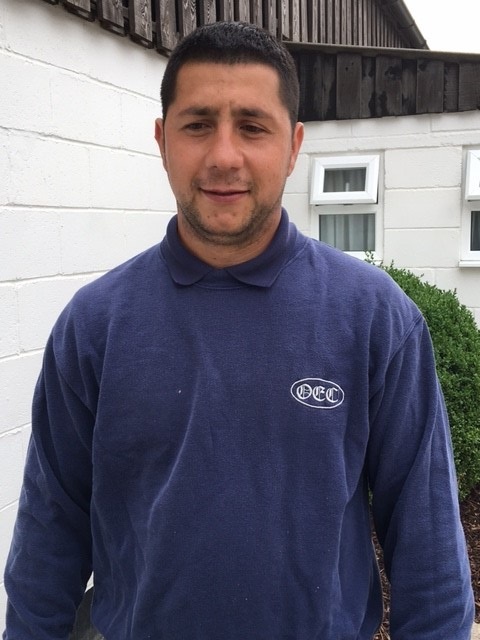 Shaun joined the team at Oldencraig four years ago and was a valued member of the team taking care of our clients’ horses and competing many of Ian’s horses. After 18 months he decided to move to a warmer climate and became a rider and Instructor for a large equestrian facility in The UAE. It was here that he gained the title of The National UAE Champion. After a season Scuba Diving in Thailand, Shaun has decided to return to Oldencraig to continue his training with Vicky Thompson-Winfield with aspirations of becoming UK National Champion. We are delighted to have him back. Sandra has worked with Ian and Oldencraig for the last 20 years and is the new Affiliated and unaffiliated show secretary. She organises all the events at Oldencraig including Affiliated and Unaffiliated Dressage, fun shows and combined training events and is a very valued member of the team. Sandra trains the Show jumping discipline for the GB Pentathlon Team producing a double World Cup winner, several National winners and an Olympic competitor. She also trains eventers gaining several BE winners. She is Oldencraig’s new jumping instructor. Sandra has brought up three beautiful daughters who are a huge part of her life. They all follow her passion for horses and they work closely together. Bo is a Danish dressage rider, now living in the UK. He has been riding since the age of eight, and previously he had the privilege of working professionally with horses as an Instructor at Belgium's most prestigious Equestrian centre, the Royal Etrier Belge, for almost twenty years. Bo also had the great fortune to have been trained by the French dressage legend, the late Patrick Le Roland, as well as the late Jaques-Henry Médard, and lately by Jean Louis Lesch, all of the Cadre Noir at Saumur. He has now joined the team of Vicki Thompson - Winfield at Oldencraig as an Advanced Rider and Instructor. Nathalie grew up in Stockholm, Sweden, and started riding at the age of six. 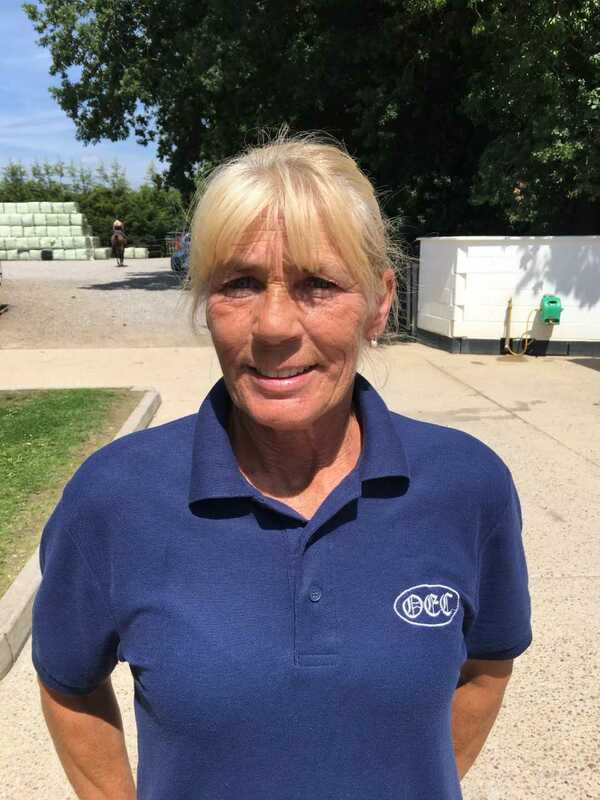 She gained her experience in the equine industry by working at MRS Equestrian Centre where she started her career and got the opportunity to train and compete several ponies and horses over the years. Nathalie Spent all her time after school and weekends at the equestrian centre, gaining valuable experience and clocking up endless hours in the saddle. 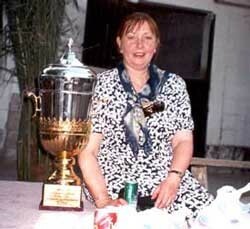 Nathalie started out competing in show jumping, but she quickly became very passionate about dressage. Today she has competed dressage to medium level on several horses. The last three summers she spent in south of Sweden working at Skillinge Dressyr, a high level yard which produces and sells high level dressage horses. After her graduation Nathalie spent three months at Mill Creek Equestrian Center in Topanga, Los Angeles working for former Swedish dressage team rider Mette Rosencrantz where she continued to gain experience in the dressage world. She has joined the team at Oldencraig as an advanced rider and instructor and is delighted to be working and training under the watchful eye of Vicki Thompson Winfield. Cornel is also from Romania. His job is to help Bogdan in D Block where he ensures the horses' welfare and turnout to the highest standard and he is also in charge of the horse walker. 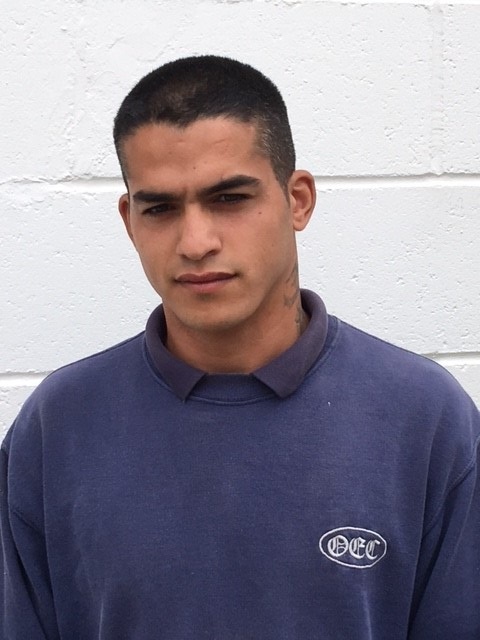 Cornel speaks very good English and is training for his NVQ and BHS qualifications. 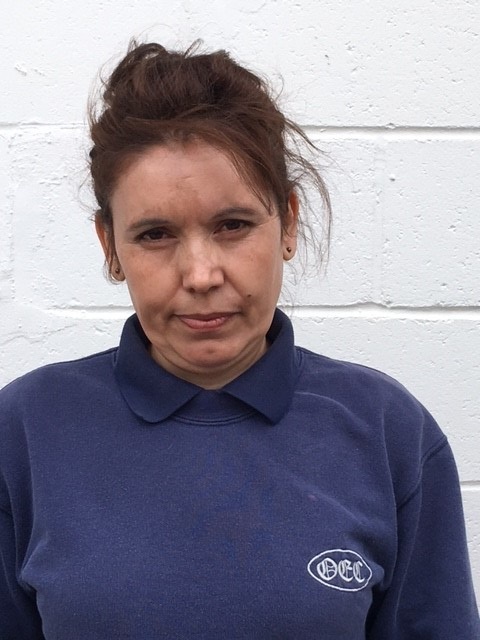 Sylvia has come to Oldencraig to improve her English and gain her NVQ qualifications. She was brought up with horses in Romania on her family run farm. Sylvia has worked for us for a few years now and she works hard alongside Andreii on b block. She is currently working towards her NVQ and BHS qualifications. Dorel is in charge of our D block. He also assists in the day to day turnout of the horses and makes sure the necessary horses are exercised on the horse walker. He is working towards his NVQ and BHS qualifications. Rachel is a partner and senior vet at Lingfield Equine Vets and joined the team in November 2007. Rachel graduated from Bristol in 2001 and then spent three months working in Thailand with bears and elephants. Following her work in Thailand, Rachel worked at a mixed practice in Kent for 2 years. She then moved to the United States of America where she worked in a busy large equine referral hospital with foals and completed an internship in Equine Neonatology. She then completed a three year residency in Equine Internal medicine and obtained a Masters in Biomedical Sciences and passed her diploma in internal medicine making her a specialist in this field of veterinary science. Please contact reception if you would like to make an appointment. PJ qualified in Dublin in 1971. He moved to England and started work in Liphook with Richard Hartley who was a leading show jumping vet. 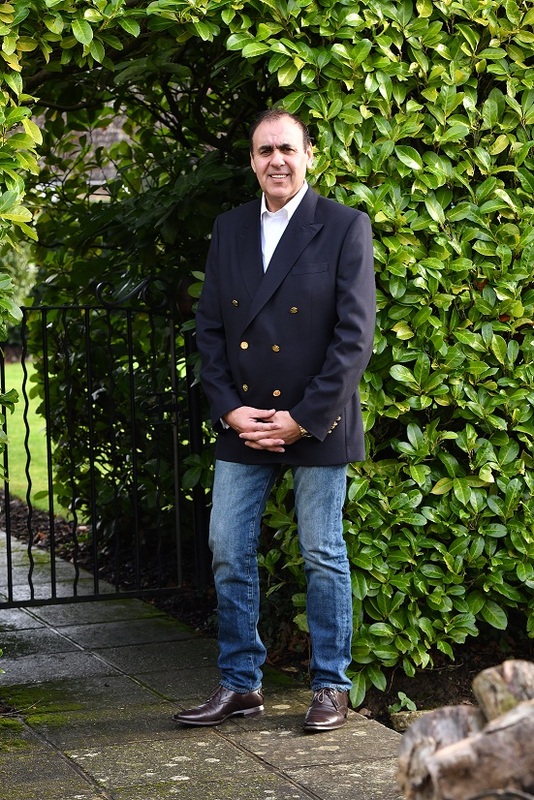 He set up his own practice in 1977 and has been working covering the South of England since, specialising in competition horses – eventers, show jumpers, dressage horses and polo ponies. He was the Irish show jumping team for 3 years and then afterwards for the United States Equestrian Team for 15 years. He attended the Sydney Olympics with the team. PJ specialises mainly in lameness in competition horses with attention to diagnostic work ups under saddle. 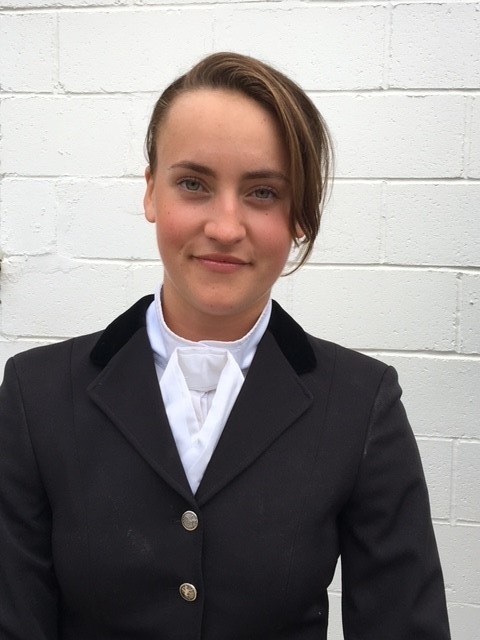 Nicole successfully competes at Advanced Medium level and trains at Prix St George at home on her two horses Locomotion and Bugsy whom she has recently purchased from Vicki Thompson, her dressage trainer. 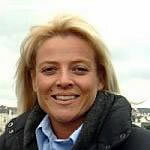 Nicole owns and manages Equinenergy the United Kingdom branch of the international school Equinology Inc, which is based at Oldencraig Equestrian Centre. The School offers a full curriculum of recognised studies in all aspects of equine complementary health science including equine sports massage, equine CranioSacral therapy, biomechanics, exercise physiology and more. World-renowned veterinarians and specialists such as Debranne Pattillo, Dr Hilary Clayton, Dr Kerry Ridgeway, Dr Chris Pasquini and many others present all the clinics. Nicole offers regular consultations and will work on clients' horses before, during and after competitions and as part of a regular training programme. She works under veterinary approval and / or referral and specializes in equine sports massage, CranioSacral therapy, equine myofascial release, equine acupressure and other rehabilitative therapies. Her clients include a number of well-known trainers and competitors as well as owners of horses competing in a variety of disciplines. She has been featured in numerous national and international publications including Horse and Hound, Horse and Rider and Dressage and is a regular contributor to various equestrian magazines and on-line articles for equestrian magazine websites. Equinenergy was recently featured on the popular BBC programme ‘Countryfile’. As an experienced horsewoman, successful dressage and eventing competitor and a BHSAI, I understand the stresses put on the horse by the different disciplines. I believe that all horses will benefit from regular treatment every 3 months. The horse was not designed to be ridden, so as soon as we do so, we compromise their musculoskeletal system. Horses that are in regular competitive work should ideally be treated every 6 weeks or more. Rather than waiting for a problem to occur, regular maintenance treatment can help to prevent problems. A treatment will include mobilisation of every joint in the body, stretching and massaging of tight muscles and restoration of balance and symmetry. Early signs of strain or injury will be detected during this time, and appropriate preventative measures can then be taken. I always work with veterinary permission and like to work hand in hand with vets, physios, farriers and saddlers where it is useful. I have studied extensively with Equinenergy and attended courses with Mary Bromiley, Hilary Clayton, Mary Wanless, Gerd Heurschmann, Omega Lasers, TTT Trust and the Society of Master Saddlers. I have completed the one year postgraduate course in Animal Osteopathy, studying under Stuart McGregor at The Osteopathic Centre for Animals, and am now studying for an MSc qualification in Veterinary Physiotherapy. I combine the skills learned from all of these experts in their fields, to create an effective, but gentle treatment that even the most stressful of horses will appreciate. I usually also give some post treatment advice to help improvements to last between treatments. I had been given the gift of communication with horses at a very young age. During my early years I only used the communication when it was necessary. In 1996 I was asked to see a famous race horse who had unknown problems when racing. While I was with him he told me what was happening to him. His trainer was amazed and asked me how I could help - He carried on to win many races. After that I was called to a horse in the Olympic team, because of confidentiality I will not disclose his name. I was able to help the horse right up until he came home. After a few months I was approached by the Mail on Sunday to do an article for them. From then on my phone did not stop ringing. Nearly all my clients from the early days are still with me along with many famous and up and coming stars in eventing, dressage and show jumping. To compliment my work I use ayurvedic herbal supplements, of which I have first-hand experience working alongside botanists, pharmacologists and vets from Sahranpur, India. I also use the essential oils of provence which are organic and used for equines. I have life membership of Phyto medica, India and I am an honorary member of the International Federation of Aroma therapists and Geota and an associate I.F.P.A. In 2012, Gaynor has been asked by the IFA to write case studies which involve the use of oils which she has used in her work, from Nordstrom Coupon Code 1996 to the present day. This will be translated into Chinese, and go into a specialist magazine at the IFA conference. She has also been asked to give a lecture on her for the IFA in England in 2012. As a master saddler, he is known for his passion to resolve problems, giving every combination the wealth of his experience. Andrew is as interested in getting the saddle to fit the rider as he is with the horse. He takes the time to watch how a horse moves under saddle and how he can help the rider develop their position. He has been known to solve back issues of horse and rider just by simple adjustments to a saddle. Andrew also designs and makes his own saddles and is driven by his desire to help horses and riders at all level and disciplines. I was in my early teens when my Dad gave me my first 35mm film camera. Running around my family allotment and garden I would search high and low for things to photograph. From a young age I had a passion for the countryside and being in the fresh air and the same quickly grew for photography, the seed had been sown as they say! Fast forward a few years and I still enjoy the rural ways of life and photographing scenes outside, using the natural light and working with the countryside to compliment my subjects. I have been photographing horses for seven years and weddings for six and enjoy nothing more than taking honest photos that tell stories and capture emotions, so they can be relived in the years to come.